Over the past few years at Red Lemonade, we have seen a change in our client design requirements: a move from design as decoration or expression, to design being part of the whole process of product development. This brings a new challenge, beyond established "Design Thinking" concepts which can be quite academic in nature and not very practical for real product development strategy. Launching a new product or feature or MVP can be an arduous and protracted process but it doesn't need to be. It can be significantly improved by having a good methodology that gets the wheels moving. The most important thing is to ship. This priority to ship was expertly pointed out by Jason Fried from Basecamp in a recent Product Breakfast Club podcast with hosts Jonathan Courtney (AJ&Smart) and Jake Knapp (Sprint book). 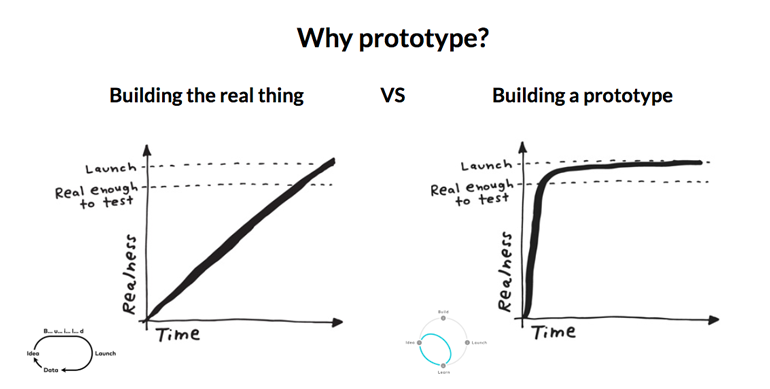 The biggest inhibitor to product development is not shipping, but rather doing a lot of fireside thinking, overly focusing on empathy and personas, and what I would describe as procrastinating or playing concept games. Games don't represent the real world. Playing Monopoly is, of course, nothing like property development and playing poker without money is very different than playing with fat stacks. Shipping early gives you two possible outcomes. One, if it's great, you can double down on what works. Two, if it's bad, well, you have gained some real tangible feedback. So let's take a look at the background to how we devised a methodology to ship fast and validate client products. 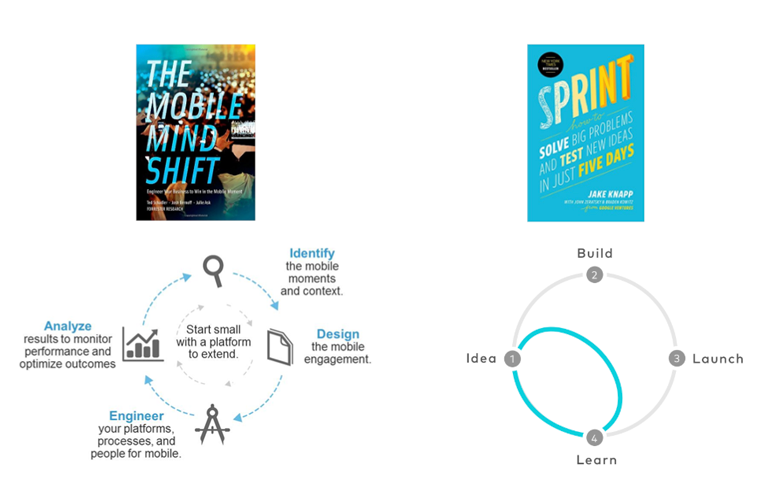 There are two books that have influenced our approach and led to a renaissance in product strategy today, The Mobile Mind Shift by Forrester and Sprint by Jake Knapp. Without going into too much detail, both work on the principle of having a clearly defined product cycle. The Mobile Mind Shift cycle is "Identify, Design, Engineer and Analyse" to better understand the customers and their needs. Sprint goes even further by creating a shortcut in the cycle through prototyping, testing with users and getting qualitative feedback. This puts your development of say an MVP or product feature on steroids for a fast build and ship. This is illustrated in the graph below from Sprint. We have been delivering and tailoring Sprints for clients over the past year and the results for clients' digital products have been impactful. The solution we deliver to clients for creative product development is a 4-day Sprint. The client team is there for the first two days, followed by a day of prototyping and then a day of user testing. The result is tangible user feedback and engagement for a fast build to market. We also provide training on the process. You can get more info on the process here. Currently, we are providing two-hour Lightning Decision Jam workshops, a practical tool that can be implemented by any team, as an introduction the Sprint process. Previously, we have delivered the Lightning Decision Jam workshop to banks, fintech companies, semi-state bodies and most recently TG4.